Newlyn Art Gallery is an exciting and challenging venue that exhibits contemporary art and the best of local painting. 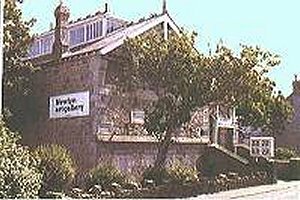 The gallery is situated on Newlyn Green on the shores of Mount's Bay at the entrance to the fishing port of Newlyn. There is an varied programme of international contemporary art exhibitions and related events presented throughout the year. The gallery shop stocks a range of quality cards, ceramics, jewellery, publications, prints and textiles. Newlyn Gallery is open Monday-Saturday 10am-5pm. Admission is by donation. 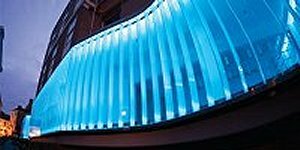 After six years of planning and development and the investment of nearly £4m, the refurbished Newlyn Art Gallery and stunning new art space The Exchange Gallery, Penzance, opened to the public in Summer 2007. Showcasing the very best of national and international contemporary art - including that produced in the region - the galleries also boast an exciting education and off-site commissions programme.